Cutting Performance, Efficiency and Output, and Working Environment. 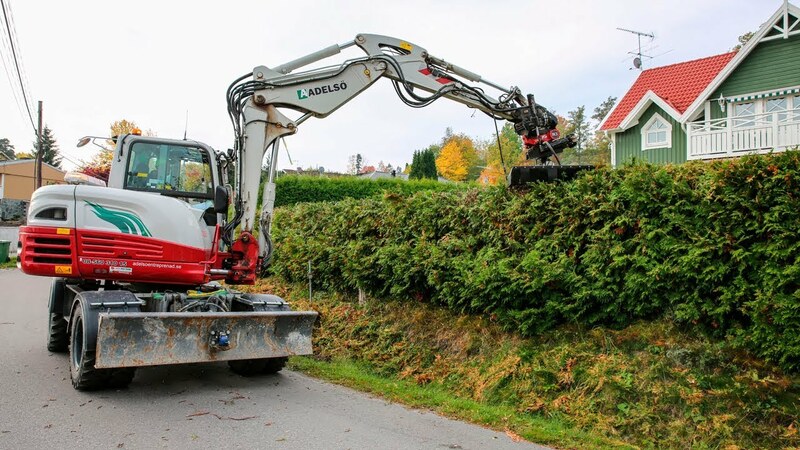 The GreenTec Rotary Hedge Cutter RC 132 performs three operations in one. It cuts, shreds and disposes the cut-off material. The blade system consists of 18 special hardened blades that assures a clear and consistent cut of branches up to 3 cm in diameter. 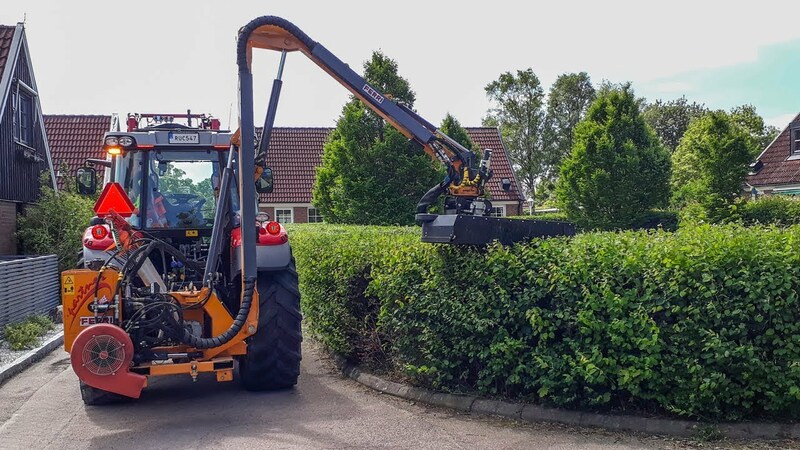 Rotary Hedge Cutter RC 132 is attached to Multi Carrier HXF 2802 or Twiga Compact which can be mounted on front end loaders or compact tractors. 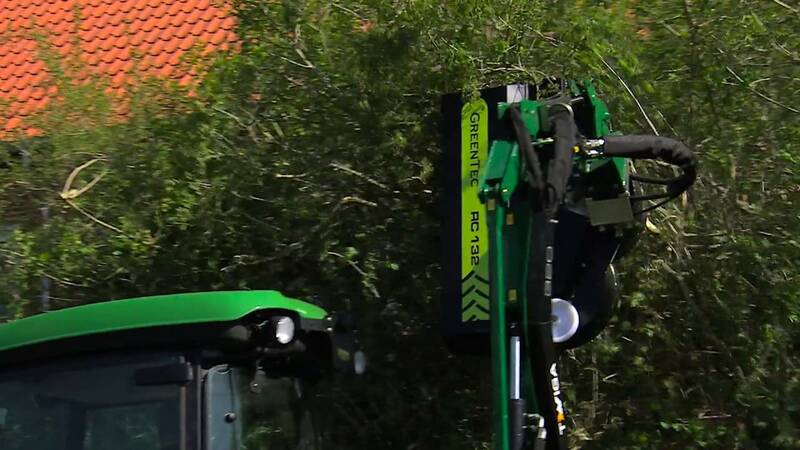 It can also be directly mounted on excavators. The blade system differs from the previous models as it is equipped with 6 blades per rotor instead of 4. This increases the cut frequency by 50%, enhancing the capability and create a better shredding effect. The blades are 360 degrees rotatable, which allow each blade to swing back if overloaded. The transmission system is Power Belt driven by a centrally placed hydraulic motor. The previous model was equipped with three serially connected hydraulic motors; the new construction is thereby simpler with focus on increased reliability.